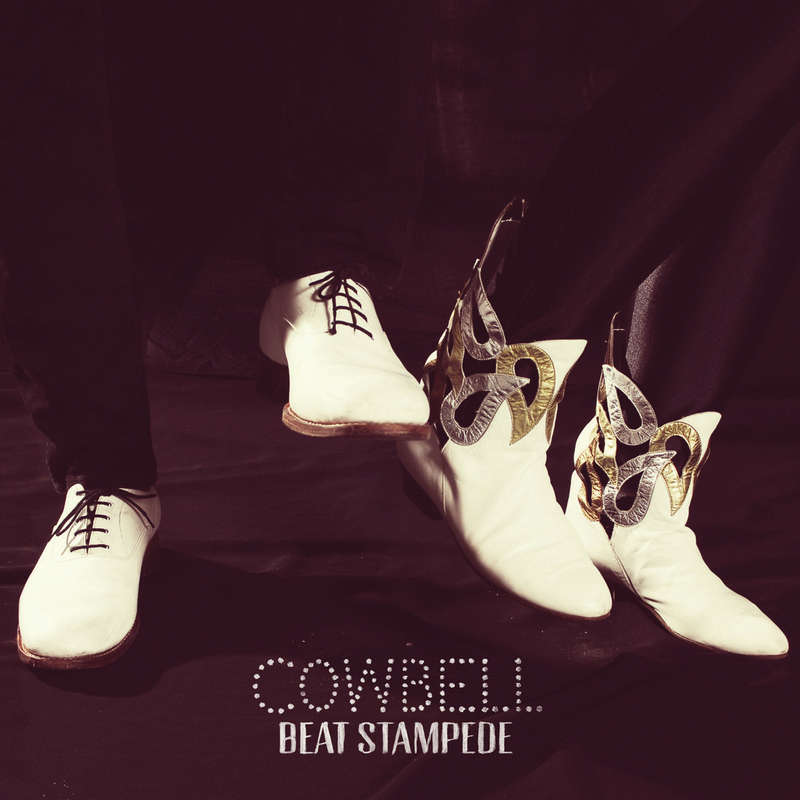 COWBELL are Jack Sandham and Wednesday Lyle. 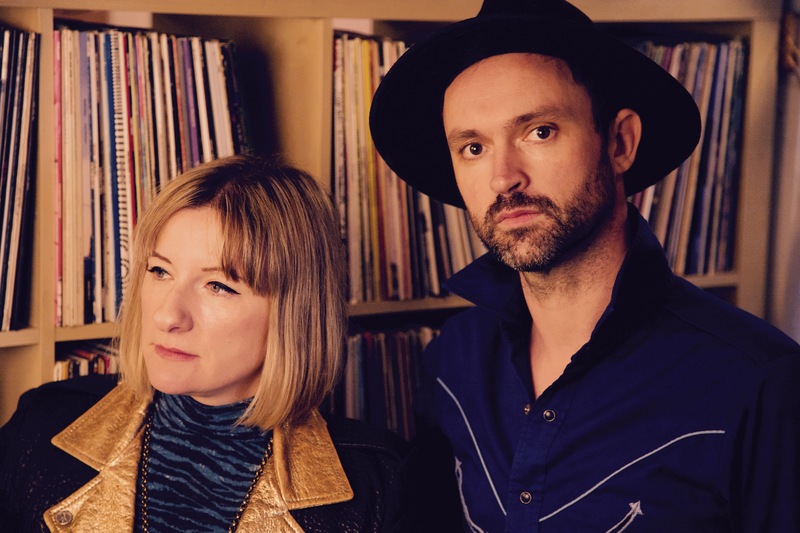 The duo play garage/soul/rock n roll and write songs that combine a lyrical charm and ease with a sound that’s full-bodied and powerful in spite of their stripped-down set-up. They take their influences from both sides of the Atlantic with a love for both the output of U.S labels such as Stax, Motown and Sun and for British sixties R and B bands such as The Small Faces, The Kinks and The Zombies. Jack Sandham and Wednesday Lyle have been playing together as Cowbell since late 2009 when they got together for a late night jam session and things took off from there. 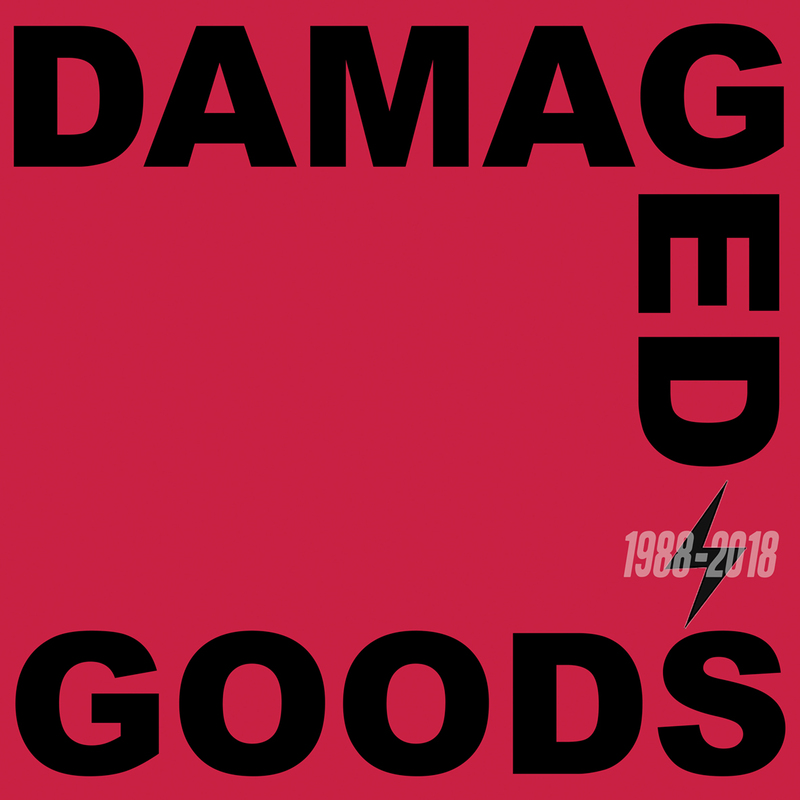 Three 7” singles followed over the next 18 months and they signed to Damaged Goods in 2012. 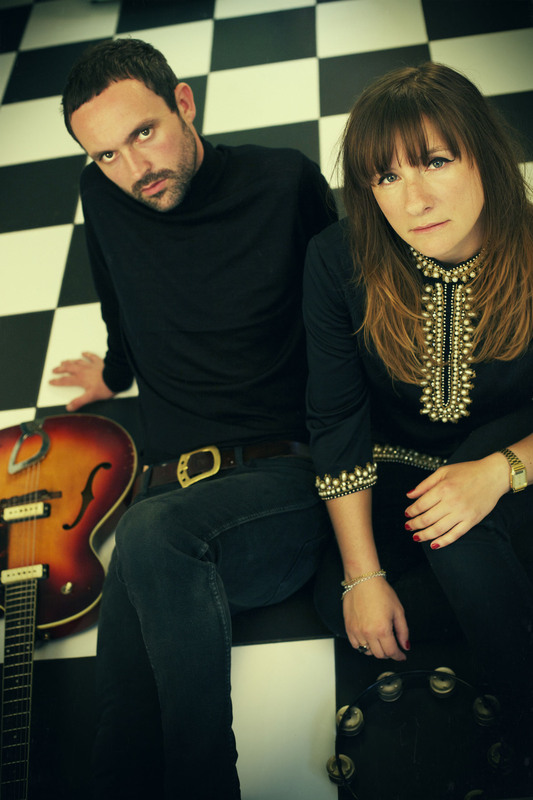 After a busy summer of gigging Jack and Wednesday went into Gizzard to work on their debut album ‘Beat Stampede‘. As well as a handful of their signature garage pop songs the album showcased more diversity, from the down-home country style finger picking of ‘All in Good Time’ to the Delta Slide on the rollicking ‘Tallulah’. 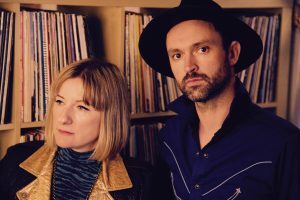 It also saw the introduction of Wednesday singing lead vocal on two songs the honky –tonk garage blues of ‘Love Got me Down’ and the ethereal ‘Castle Walls’. All in all a great debut album. Two years on from Beat Stampede, which has now been released in the USA on Too Much To Offer records, the rockin’ duo branched out into a more spooky atmospheric sound across the 11 tracks on their second album. 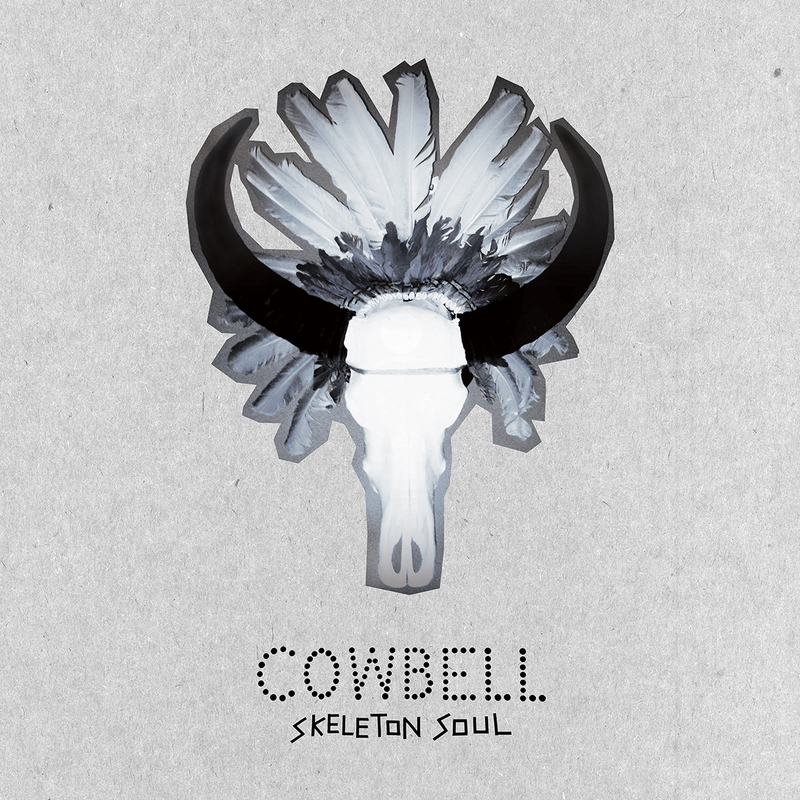 There’s a definite dark, New Orleans R&B vibe to Skeleton Soul. 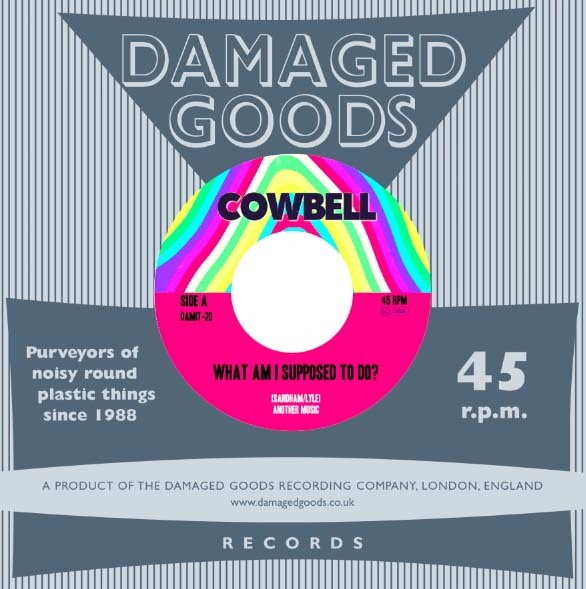 Cowbell are set to release their 3rd LP in may 2017. Get ready for Haunted Heart! More Memphis, more Fuzz, more greasy foot-beating, party-greeting, soul-treating maximum RnB. 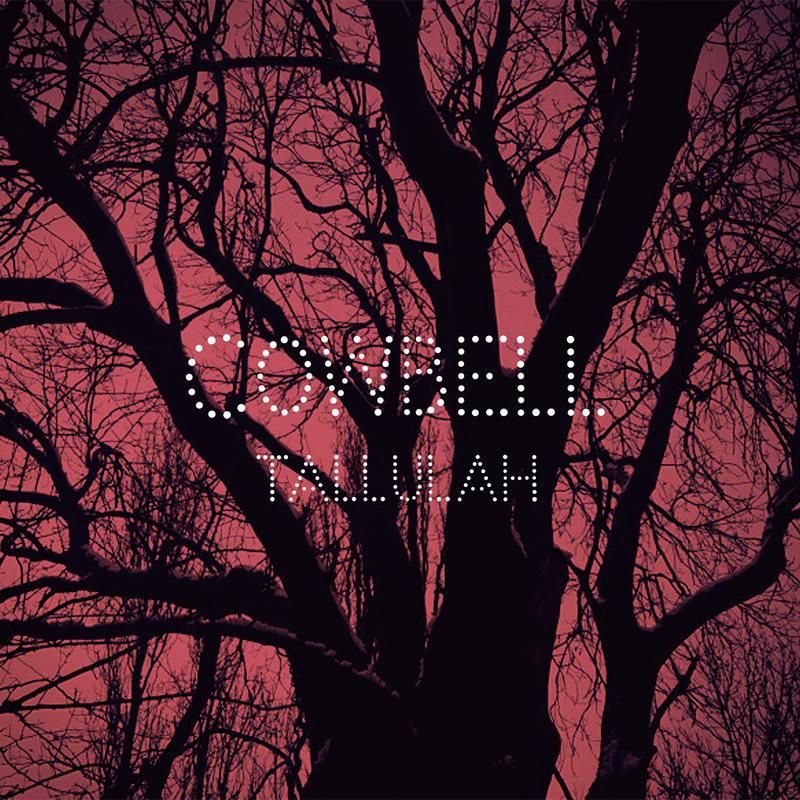 And yes, more Cowbell. 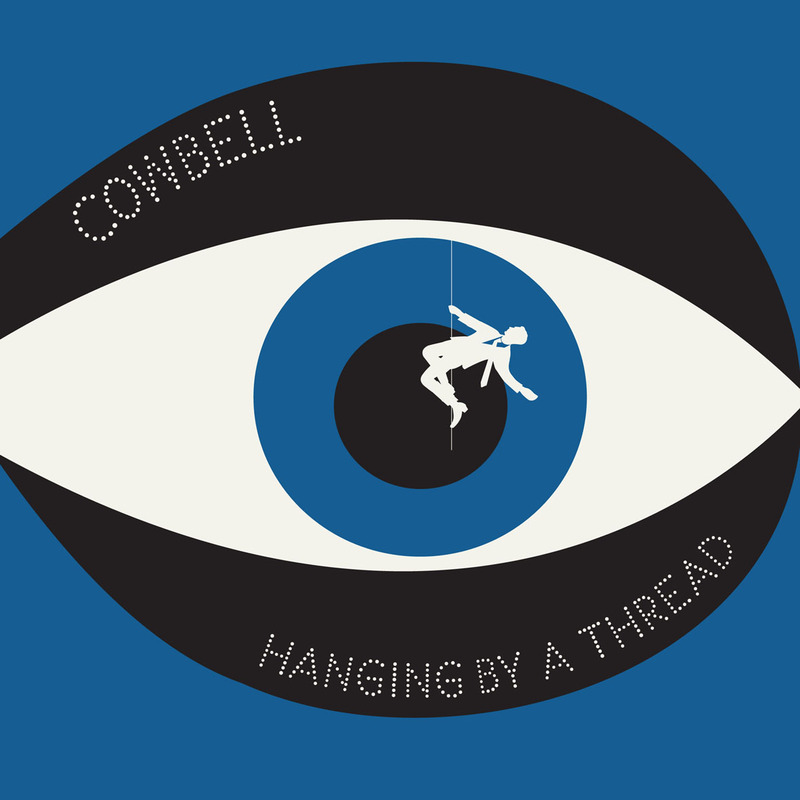 They have straddled the Atlantic with the beat stampede of their songbook so far, but Haunted Heart sees them walk down the dark end of the street, drawing on Atlantic-era Ray Charles and Dusty, while still keeping on creeping on with the sweaty-hand shaky-knee Garage rock ear-worms. From the Sun Studio, Cramps-like swagger of the title track, to the paranoid Coasters swing and Doors-keys of None Of Your Business, Jack’s urgent vocals yelp out from the first needle drop, stepping aside for Wednesday’s wink of the eye on the Holly Golighty/Black Lips femme-fatale fury of Downlow, which sounds like it’s been ripped straight from the beating heart of the Fillmore during the Summer Of Love. Produced by the band themselves at Soup studios in Limehouse, London, their early raw bare-bones sound has now been fully expanded with Jack’s sandpaper grit guitars and Wednesday’s freight train rhythms chased down with some glitchy synths and vintage organs (Doom train/Neon blue) as well as a drop of Delta gospel Blues on Nothing But Trouble (also incidentally the first Cowbell song ever to actually feature a Cowbell). 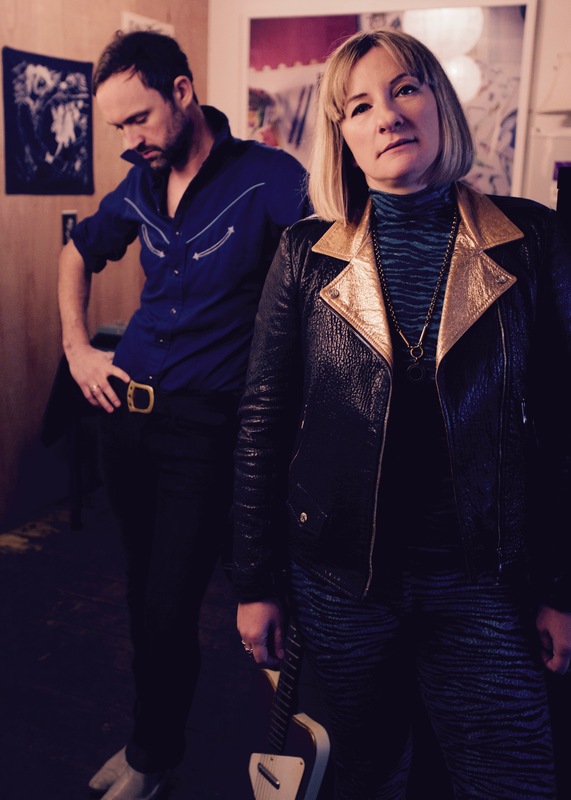 Otis and Pickett-era horns breathe seductively into the swampy-stomp of What Am I Supposed To Do, while New Kind Of Love tiptoes onstage with its alluring smokey jazz piano as Wednesday brings a beautifully casual Peggy Lee type Fever to the microphone. 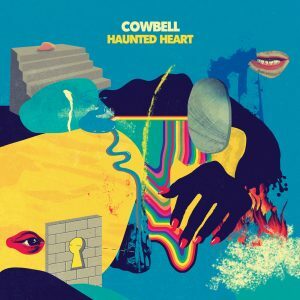 But it’s with the curtain-closers on both sides of wax that Cowbell have really rung in the new, Something’s Gotta Give swaps in gently plucked Laurel Canyon vibes, teardrop-stained and tie-dyed into a soul-stirring torch song. And just as we’re ready to step off this train, the last stop of No Wrong drops us off in the sherbet-sweet swell of a Cowbell classic. 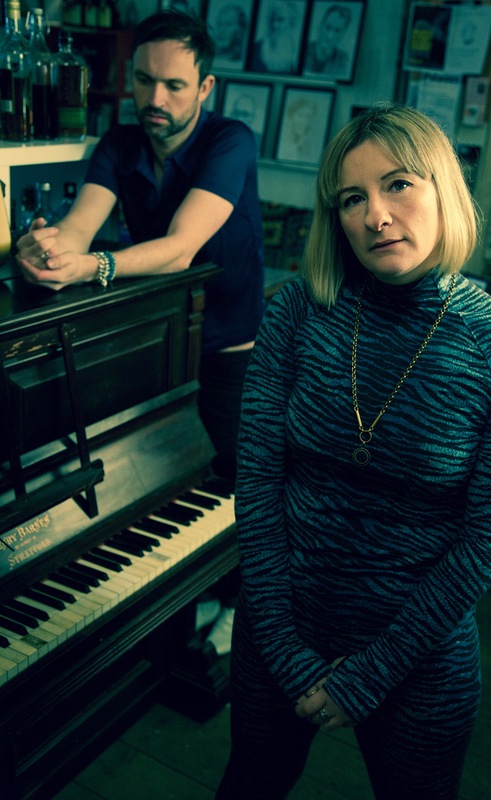 A toast to Percy Sledge and Van Morrison, with a giddy gospel reprise that has Jack and Wednesday promise that they “won’t do you no wrong”. And they’re damn right. Haunted by name, haunting by nature. Flip it up and start again. More Cowbell.